"Whenever there is a problem, repeat over and over: All is well. Everything is working out for my highest good. Out of this situation only good will come. I am safe. "In this healing tour de force, best-selling authors Louise L. Hay and Dr. Mona Lisa Schulz have teamed up for an exciting reexamination of the quintessential teachings from Heal Your Body. 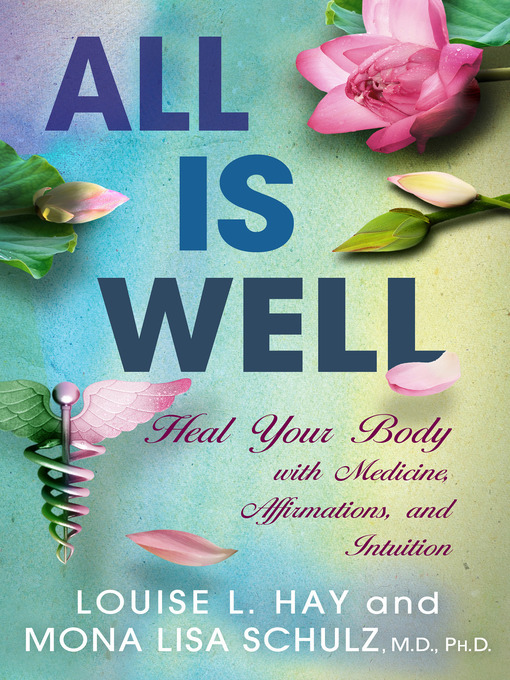 All Is Well brings together Louise's proven affirmation system with Mona Lisa's knowledge of both medical science and the body's intuition to create an easy-to-follow guide for health and well-being. And, for the first time ever, they present scientific evidence showing the undeniable link between the mind and body that makes these healing methods work.Bringing focus and clarity to the effects of emotions on the body, All Is Well separates the body into seven distinct groups of organs 1; or emotional centers 1; that are connected by their relationship to certain emotions. Structured around these emotional centers, the authors outline common imbalances and probable mental causes for physical illness. They also include case studies that show a complete program for healing that draws from all disciplines, including both traditional and alternative medicine, affirmations, nutritional changes, and so much more.Using the self-assessment quiz, the holistic health advice, and an expanded version of Louise's original affirmation chart, you can learn how to heal your mind and body with affirmations and intuition and live a balanced, healthy life.